It has become a sad reality that every time I download the latest B9 Pack that Squad releases a new update. I thought I was safe this time. Surely .90 would require more time. I thought I had at least a week before its release, which is a lot more time than I usually have to play with all of those beautiful parts. But what should I see in my email not 8 hours after downloading the mod? .90 is official and available; time to delete B9. Again. Building upon a long term project that was introduced with the last update’s destructible facilities, players will now have the ability to start from the ground up with a basic space center and turn it into a sprawling compound in the new upgradable facilities feature. It’s not just buildings, either. Players will unlock new capabilities and bonuses as their career path progresses. Speaking of progression, the new Kerbal Experience system allows for the Kerbals, themselves, to progress as they never have before. 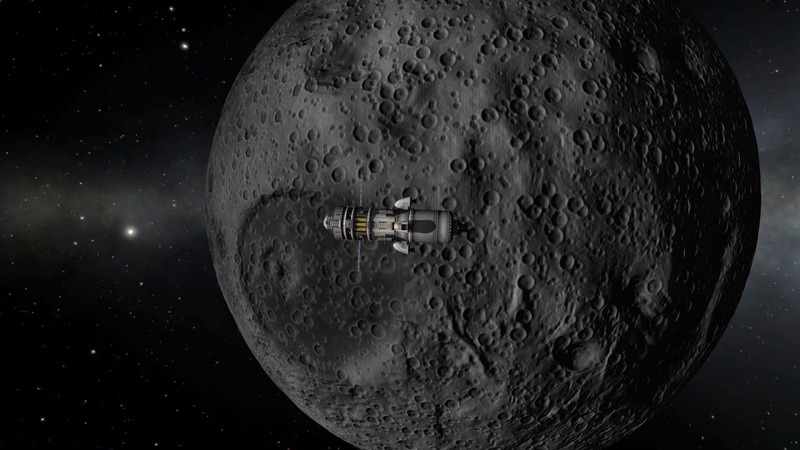 Kerbals have gained specialized skills that players can improve by taking them on missions. Advanced piloting, science gathering and spacecraft repairs are just a few of the things Kerbal crews can do as they gain experience. In surprise move, Squad and the European Space Agency (ESA) have banded together to provide a special treat for players. They have granted Squad use of their logo and imagery in Kerbal Space Program. Fresh off the unprecedented success of their Rosetta mission, their cooperation adds even more detail to players who’d like to recreate their own ESA missions in the game. A Retooled Craft Editor: Build crafts better than ever before with advanced part sorting and construction gizmos that allow players to place, offset and rotate the different parts on your craft. Expanded Contracts: Brian “Arsonide” Provan, creator of the highly rated mod, “Fine Print,” has implemented and expanded his mod into the game, granting greater variety, depth and difficulty to the previously implemented contract system. 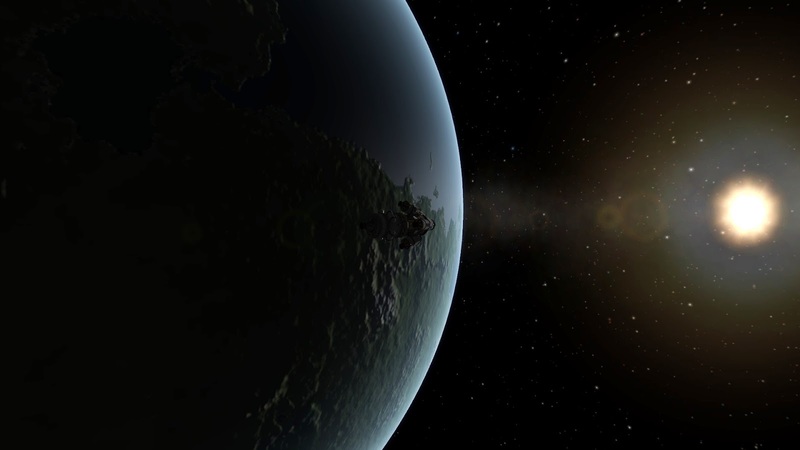 Biomes Everywhere: KSP-TV host, Alyson “Tanuki Chau” Young created new biomes for the game, bringing them to over 100 areas from which Kerbals can collect, store and send science data. The new biomes have been placed all across the universe, giving players bigger incentive to explore every inch of the game. New Mk3 SpacePlane parts: Prolific modding community member, Christopher “Porkjet” Thuersam has overhauled and added to the popular collection of Mk3 parts that allow crafts to carry larger payloads. "We've come a long way," said KSP lead developer, Felipe Falanghe. "The decision to go into beta is a big step and there's no better way to say it than with an update the size of Beta Than Ever. It means we're in the home stretch. We're not done with the game by any means, but it's matured to a point where we can safely say that hitting 1.0 is within sight." It's lonely out in space. 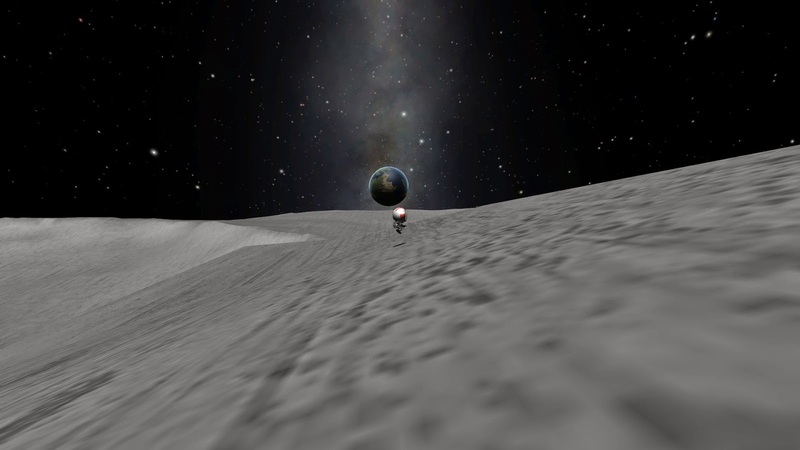 Especialy when you're alone on the Mun.